Tandemize. 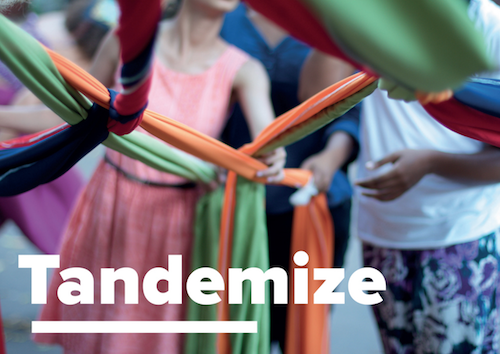 Tandemize is a ‘not for profit’ ‘cross-cultural and cross-disciplinary’ learning & teaching programme; that supports students and practitioners to develop the social and cultural impact of their creative practice. Set up in 2014 by artists and educators: Mah Rana from The Cass and Estela Saez from The DSAF our aim is to bring together practitioners from the UK and other countries to create a unique occasion to share their creative practice and learn about each other’s countries, working together on collaborative exchanges and outcomes. The programme focuses on the values of experiential learning and reflective thinking, to nurture a holistic approach to teaching and learning.